One of the features of being a tenant in the UK is that you may find yourself having to move – often. We don’t have the same kind of long term tenancies that exist in other European countries and, as a result, the nature of being a tenant can mean moving around every year or so. While this is often unavoidable, sometimes we forget how much it really costs to move house and this can take you by surprise. We’ve put together a list of things to bear in mind when you’re planning for a move – or trying to decide whether it’s worth staying put. 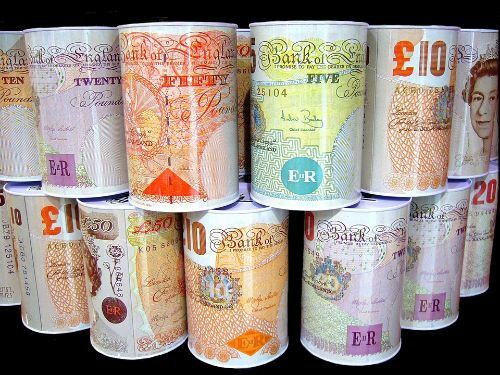 Deposits – if you’re moving properties and you’re not particularly cash rich then the deposit can be a tricky matter. Remember that the landlord does not have to return your deposit straight away so you may not necessarily get this back before you need to pay a deposit on a new place. This is particularly the case if there is any dispute over deductions. To avoid issues, it’s a good idea not to rely on an old deposit to provide the funds for a new one. Removals – if you have a car and a willing helper then you can manage a minimal move but where furniture is concerned then this often isn’t the case. The ‘man and van’ services that have sprung up around most cities offer a cheaper alternative – some go as low as £35 an hour. Whether you opt for a fixed price or an hourly rate depends on where you’re moving from and to and with what. Be sure to ask whether the VAT is part of the quote as this will add another 20%. End of tenancy cleaning – you may choose to do this yourself, you may opt for the professionals. Again, check whether VAT is included in any quotes you get and make sure you don’t have to pay for cleaning materials. Find out whether the cleaners dispose of their own rubbish or whether they’re going to leave that for you and remember that carpet and oven cleaning often come at an extra cost. If you can find an end of tenancy cleaning service that guarantees you’ll get your deposit back then so much the better. Meter readings and equipment – your tenancy agreement obliges you to make sure you’re leaving the property without any outstanding debts to pay so before you go remember to give meter readings to your energy provider and return any equipment that belongs to an internet or TV provider. Dumping – it’s hard to fathom in advance just how much rubbish you’re going to need to get rid of at the end of a tenancy until the moment that you’re standing there staring at it and wondering how on earth to shift it. It’s a good idea to start clearing out weeks in advance and leave this out for the council rubbish collection. If you start fly tipping you could be fined and leaving anything in the property normally means you’ll be charged (over and above the usual rate) for it to be removed by the landlord.